A court found Korean actor and singer Ryu Si Won guilty of assaulting and electronically tracking his wife and ordered him to pay 7 million won (about P282,000) in fine. In its decision, the Seoul Central District Court found the star guilty of the charges. These included slapping his wife Jo Soo and putting GPS tracker in her car and cell phone. Last February, Jo Soo filed a complaint for violence with the police against Ryu Si Won. The actor was indicted for assaulting and tracking his wife last May. Jo Soo submitted audio recordings to the court including one incident where he slapped her. Judge Lee Sung-yong said it was proven by the audio recordings that the assault took place. “In the submitted records, the sound of skin-on-skin contact can clearly be heard, and the wife’s voice sounded intimidated in the conversation afterward. Even though the intensity was light, it is determined that [Ryu] used violence against the wife,” the judge said, according to Korea JoongAng Daily. During the trial, Ryu Si Won admitted that he put GPS tracking system in his wife’s car and cell phone but said he did as he was concerned about her safety. He denied that he assaulted his wife. The tracking system was placed in May 2011 while the slapping incident happened in August 2011. Prosecutors tried to convince the court to impose a prison sentence on the actor but the judge took note of the actor’s clean record. Ryu Si Won and Jo Soo got married in 2010 and filed for divorce in 2012. They have one daughter. The actor is popular in Korea and Japan. He debuted in the Korean drama “Feeling” in 1994. He also released Korean and Japanese albums. His last project was the Korean drama “Goodbye Dear Wife” in 2012. 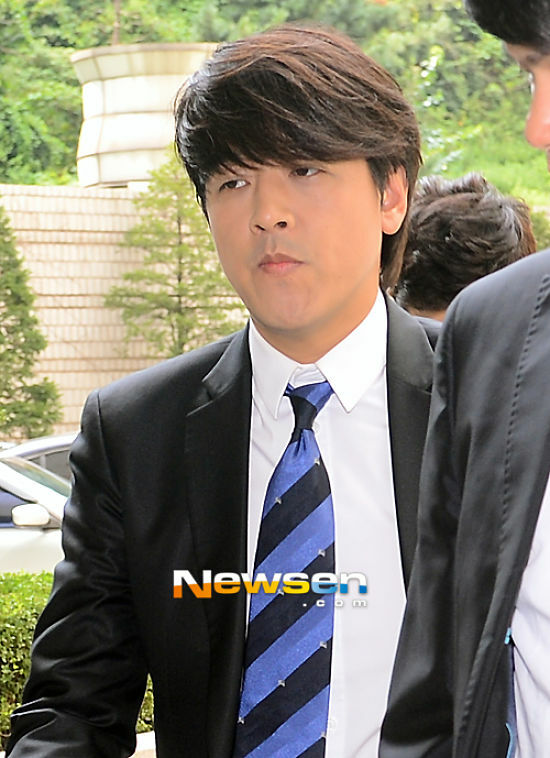 Ryu Si Won is planning to file an appeal to contest the court’s decision.